William McDonough and Stanford University Libraries have teamed up to create a comprehensive, real-time approach to archiving the McDonough collections. The Libraries will use the digital components to create a set of open-source archival technologies that will allow creators, archivists and selected contributors to actively collaborate. The William McDonough Living Archive is a whole new approach to archiving. 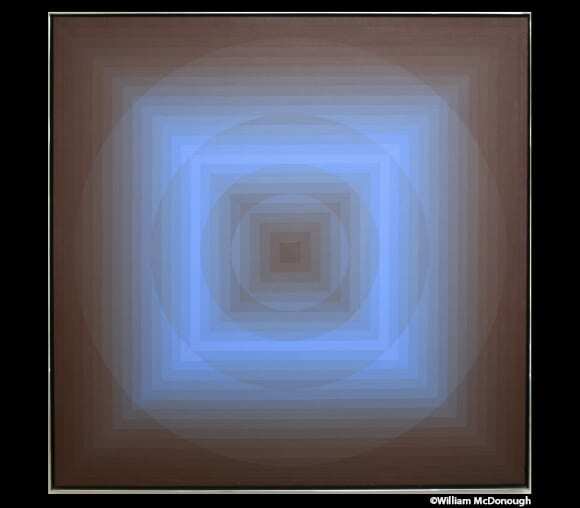 By archiving in real-time we are able to create a complete picture of McDonough’s work, connections and global impact. Like so much of McDonough’s work, his archive is breaking new ground on how we think about, create, and interact with archives and archival materials. 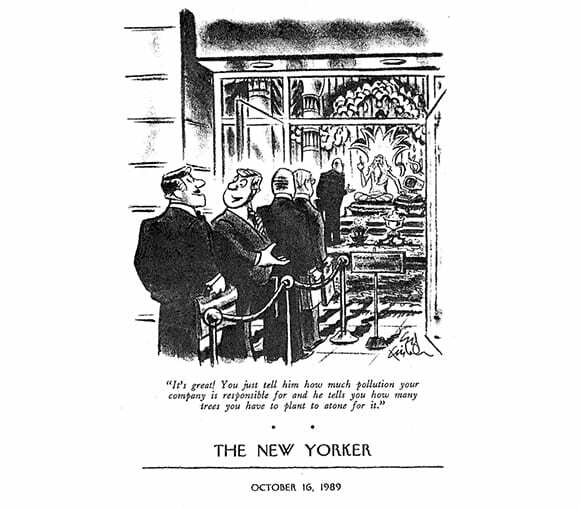 The traditional archive waits until the subject has passed away before donating their papers leaving the archivists to create a complete picture of the person and their work without the subject’s input. By working with William McDonough to capture as he creates, we are creating a robust archive that will be extremely useful to researchers, scholars and students now and for future generations. an extraordinary opportunity not only to advance and redefine what an archive can be, but also a chance to engage with William McDonough to explore and document such questions as how the sustainable movement happened, and to examine links between pioneering thinkers such as McDonough and Buckminster Fuller. We see the possibility to capture not just the writings and artifacts but the activities and conversations of a designer and thought leader – and the many influential individuals he works with – as they happen. It’s a real-time archive. Note: content on this page will change as the archive grows so please check back regularly. McDonough’s childhood photos have been collected and digitized. 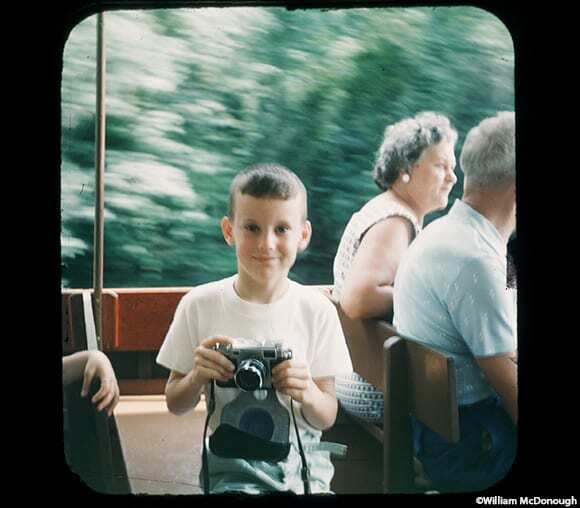 This photo shows McDonough as a child holding a camera. He would later study art and photography while attending Dartmouth College and Yale University. As an art student at Dartmouth, McDonough completes a series of paintings inspired by the Ostwald Color System, studying relationships between hue, chroma, and lightness. 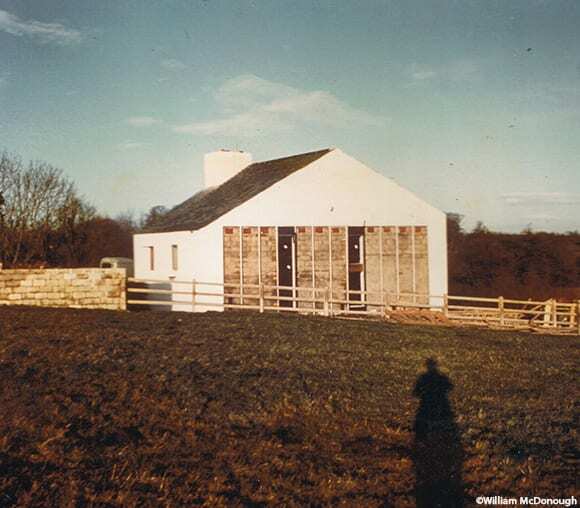 1976: While a graduate student at Yale, William McDonough builds the first solar heated house in Ireland. 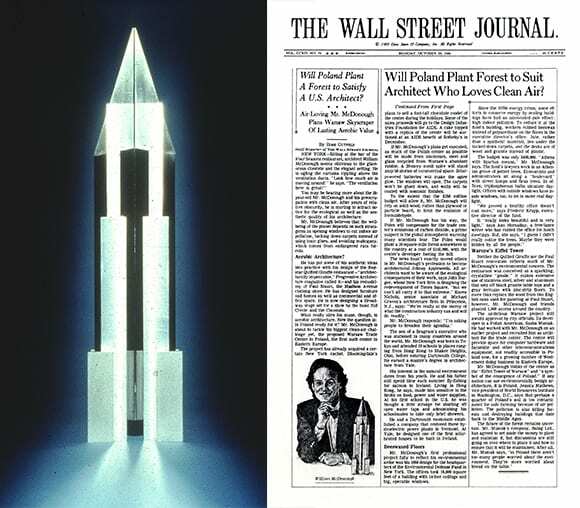 1989: McDonough’s Warsaw Tower design is on the front-page of The Wall Street Journal and is a cartoon in The New Yorker. Visit the William McDonough Live YouTube channel to view additional speeches and recordings. 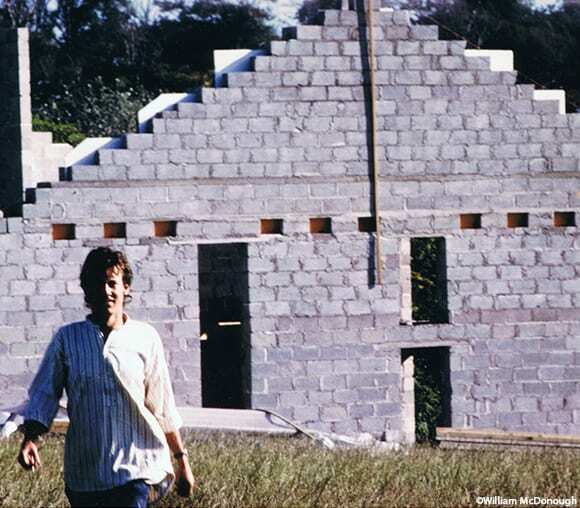 Read more about the William McDonough and Stanford University Living Archive. Read a related article in the Stanford Daily News. Read the New York Times announcement.